Sun 'n Fun has come to mark the true beginning of Spring for Susie and me. There is something poetic about the exchange of the 30 degree temperatures of Ohio for the 70 to 80 degree weather of Lakeland, FL. The traditional QBA forum there has also been a motivating force to get just a few more tasks done on the plane before we leave, if only for the bragging rights. This year I was able to get my ICOM IC-A200 comm radio to work just 2 days before we left. I was concerned about a possible problem with the relay circuit board that I designed to simplify switching between the radio's internal intercom and push-to-talk features. Needless to say , I was sure relieved when I got a "Loud and Clear" from Susie several rooms away listening on the handheld. I'll publish the circuit board and parts in a future issue of Q-Talk after I have had some time to work with it in the plane. Enough bragging! We had a healthy turnout at the 9:00 a.m. Sunday QBA forum. Approximately 35 people participated, some familiar faces as well as some folks we have not seen for a few years. Jim Masal was notably missing from the forum. Jim had announced a few weeks earlier to the Q-List that he would be in Ireland during early April. He shared in private the real reason for the urgency of the trip and I felt it was important to relay that reason to those in attendance and now to you readers of Q-Talk. Jim shared this letter with me before he left on his trip. I send greetings to you from the emerald isle of Ireland. I hope the dire problem our country is facing has not made the news in the States. We have looked long and hard around the world for someone just like you to help us out of our plight. As it turns out, a Quickie builder from Dublin acquainted us with you and your writings and we all knew we found our man on the spot. I am authorized to send you an all expensed paid round trip ticket to Ireland if you can be here by the 7<h of April 2002. You see our problem is the Blarney Stone is running a wee bit low and we need you to fill it back up again for us. All kidding aside, Jim was missed but we forged ahead and had a good forum, highlighting many new and valuable building tips. Dennis Clark from Newnan, GA, for example, mentioned several successful Q1 improvements. You can read the first of his articles regarding those changes in this issue of Q-Talk. Fred Wemmering of Fayetteville, NC, shared the tip of glassing in foam wedges mid-span on the top and bottom surfaces of the Tri-Q main gear bow. This allows for a jack point on the bottom and a step on the top when he applied wing walk abrasive to help getting in and out of the plane. Bill Butler of Mundelein, IL, added how important it is to have the small nose wheel on a Tri-Q balanced. He pointed out how the high-speed landings can generate a significant vibration if the wheels are not balanced properly. I ran into Bill later in the week and he also shared a tip about applying a small amount of Butcher's wax or Bee's wax to the threads of screws used on inspection plates or other situations where the screws would be removed often. Using this type of substance would allow the screw to be tightened fully and easily removed later. Roy Shannon of Edgewater, FL, shared his experience with Poly Fiber's Smooth Prime and Top Gloss paint system. Roy found the primer easy to fill and sand. He had some trouble getting the topcoat to flow out properly, but was able to sand and buff his way to a beautiful shine. He did warn that the topcoat does not seem to lend itself to blending well while trying to repair a flaw within a previously painted area. Tom Moore from Frisco, TX, reminded the group about increasing the compression ratio on an 0-200 by installing C-85 pistons. There is a minor amount of turning needed for clearance, but this is an inexpensive improvement from 7:1 to about 8:1 compression ratio, leading to an additional 10 mph. Later in the week, Tom provided a tip about another source for purchasing components like bolts and nuts. He found the prices for some items were lower in Van's catalog than found in Aircraft Spruce. Van's will sell everything to non-RV builders except their OEM engine packages. You can request a catalog by contacting Van's at http://www. 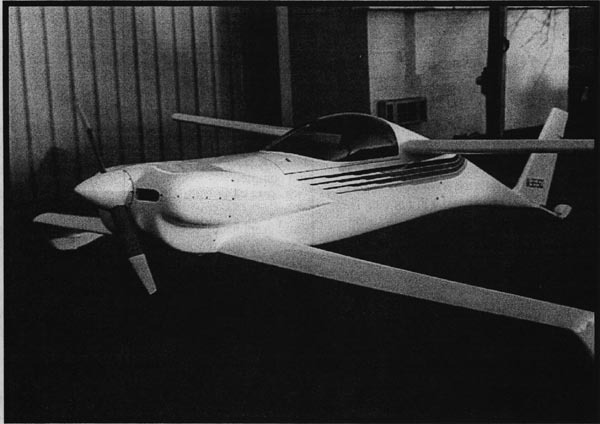 vansaircraft.com, phone 503.678.6545 or via mail at Van's Aircraft, Inc., 4401 NE Keil Road, Aurora, OR 97002. 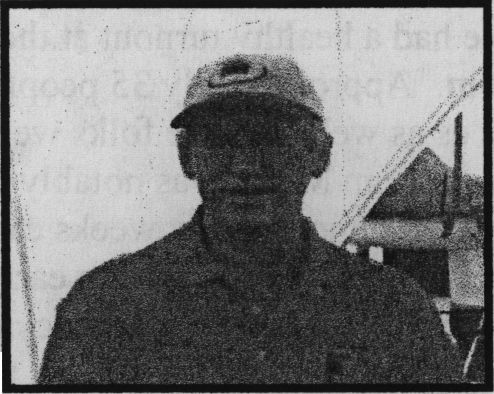 Jim Doyle of Springfield IL flew the only Q into Sun 'n Fun that week and camped by his plane during his stay. He reported his C85 powered Tri-Q200 now has 820 hours. The 5th Annual Hot Dog Roast again provided an informal opportunity to talk Quickies. Over 20 QBA members and guests joined us this year. Many thanks to Tom Moore for his help in setting up and tearing down the tables, chairs, grill, etc. We are looking forward to hosting this event again next year. A record breaking 36 teams launched their hot air balloons on opening day morning. 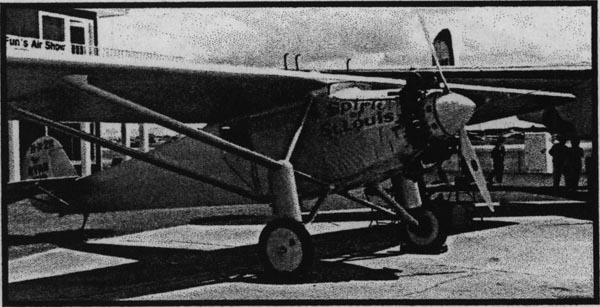 Eric Lindbergh flew into Lakeland in his highly modified Colombia 300 that he will use to retrace his grandfather's flight to France. Eric's flight is only expected to take 18 hours to complete, Kermit Weeks flew in his magnificent reproduction of The Spirit of St. Louis aircraft commemorating the 75th anniversary of Lindbergh's crossing of the Atlantic. 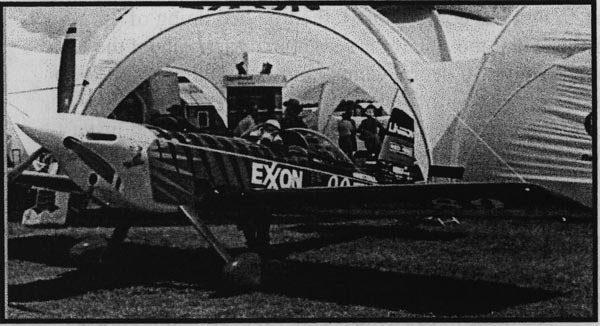 Bruce Bohannon "unofficially" set his 10th world record by climbing to 37,536 feet in his highly modified Exxon Flyin' Tiger. Susie and I had a chance to speak with Bruce and he said, "We like round numbers" referring to his 10th record. Bruce described the lengthy paperwork and the three-step process that his efforts will have to go though to finally be recognized in France as the world record. While Brace's flight definitely took him into class A airspace with all the "Heavy Metal" planes, ATC actually had him hold several times to accommodate other traffic. At 36,000 feet, Brace's plane stopped climbing and he started to hear some nasty bangs from the engine. Brace's quick thinking helped him realize the mixture was too lean and he was able to continue the ascent to break the record. 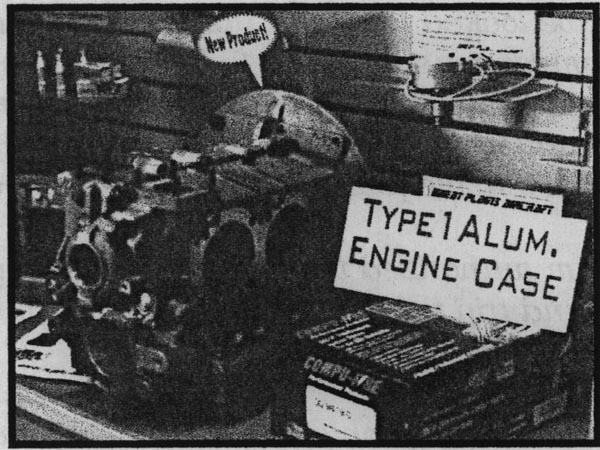 Steve Bennett of Great Plains displayed the all new Aluminum Type 1 VW case. It is expected to be much stronger and only 11 lbs heavier than a standard case. The cost? The same as a standard case! You can order a printed copy of Q-talk #92 by using the Q-talk Back Issue Order Page.